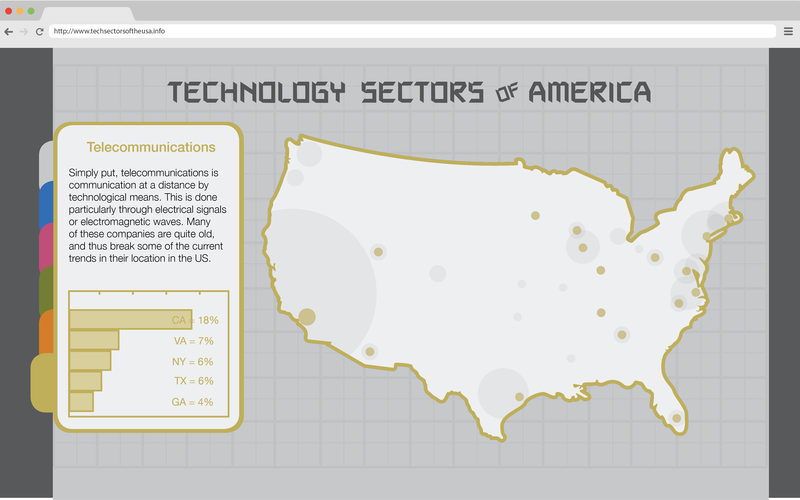 A project for an Information Graphics class on "Mapping" designs. 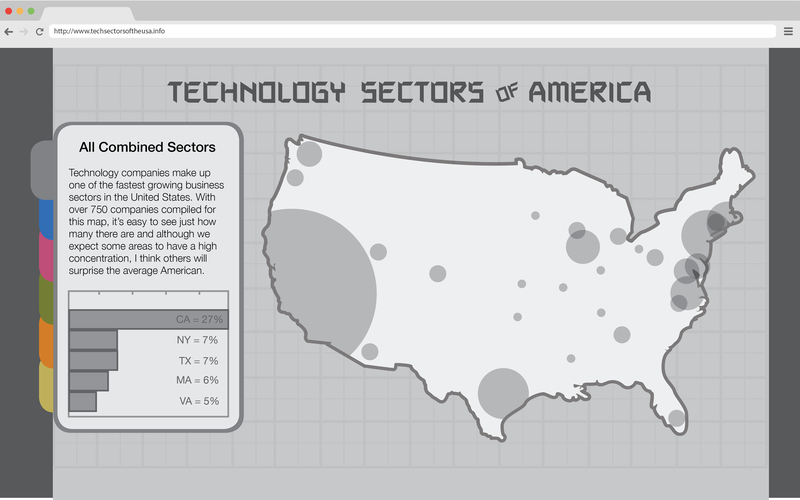 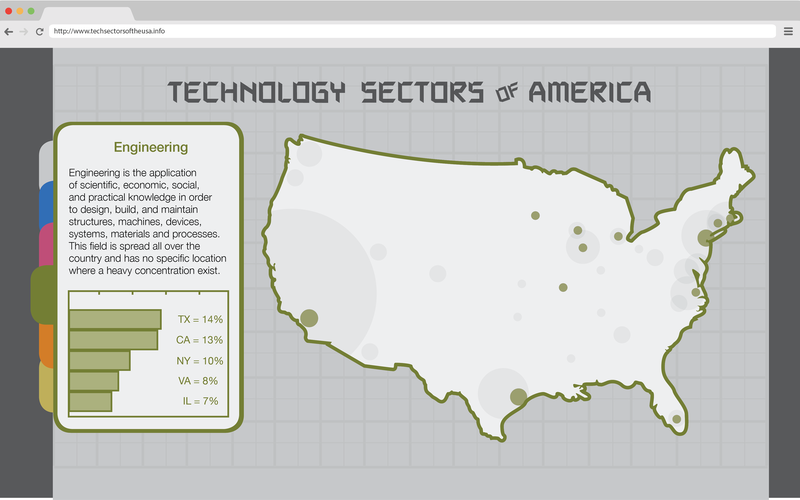 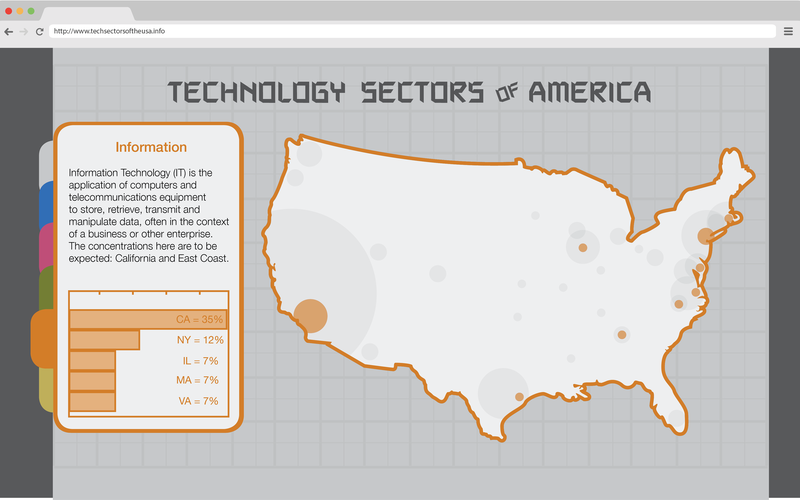 I chose the subject of mapping the various Tech Sectors of the United States. 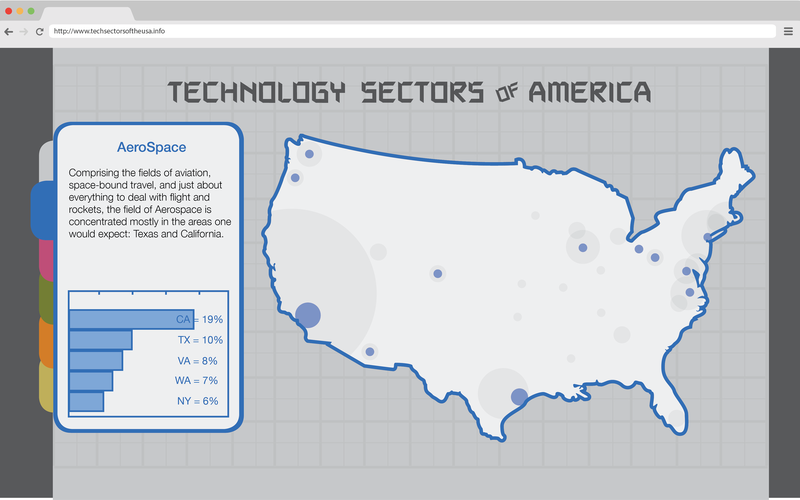 Through Wikipedia, I found six main sectors and just over 1000 companies across them... after sorting all of these out by genre and location, I then mapped everything out, worked on how I was showing scale, and chose colors to represent each. 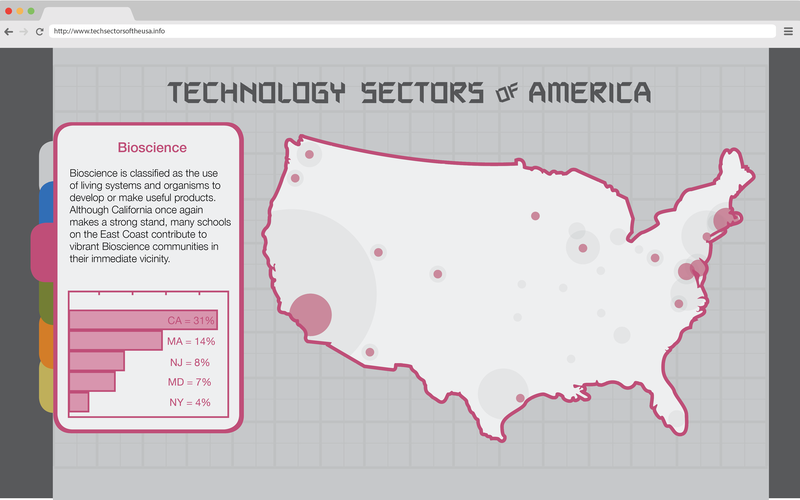 Ideally this would be part of a digital magazine or post about these different tech sectors.